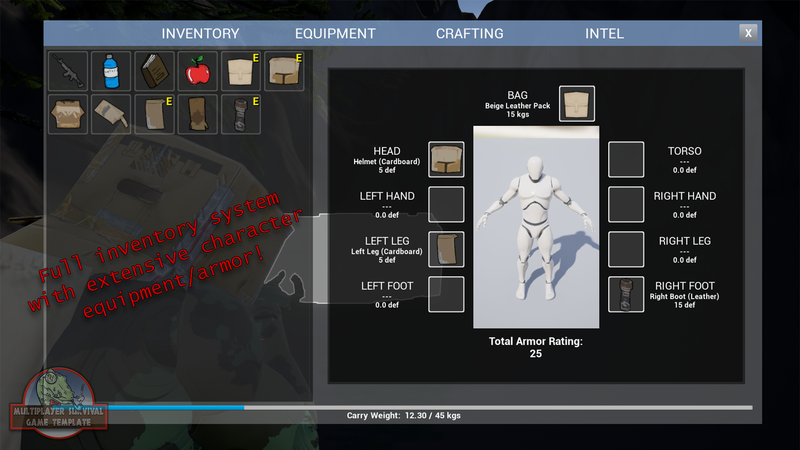 This 100% blueprint powered template has everything you need to get your survival game up and running quick and easily with full multiplayer support. 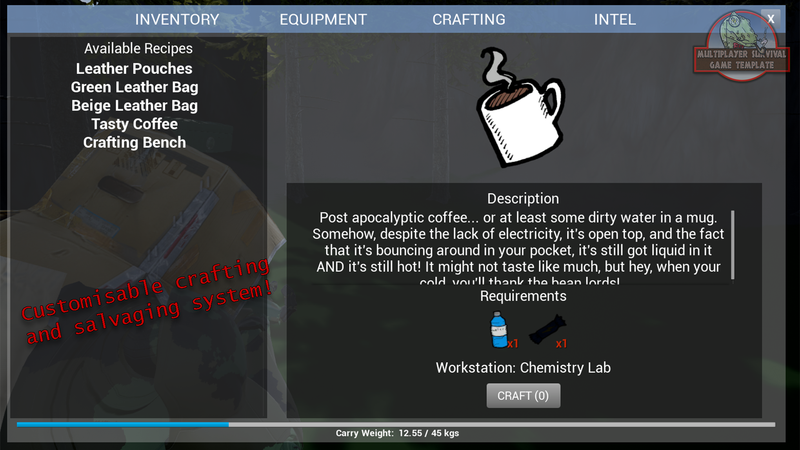 Packed to the brim with all the standard survival game mechanics, as well as some of the more exotic ones, the template is easy to configure, easy to extend and easy to learn. 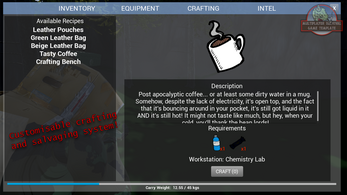 Mechanics are all modular so you can drop anything you don't need to save time and processing power. Built with almost a year of feedback on the singleplayer origins, this template is now 100% multiplayer ready and optimized for network play. Including systems to manage hunger, thirst, time of day, temperature (both body and world), health, oxygen, blood, stamina, power, poison and more. You will be able to give your players the survival challenge of a life time! 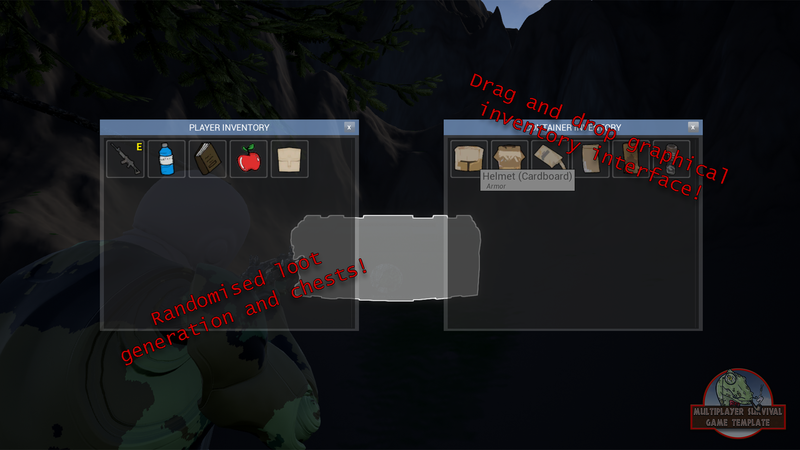 Includes a full extensive graphical inventory with support for randomized loot spawning, chests, item cooldowns and more. All blueprint logic is extensively commented and easily laid out for learning and understanding. 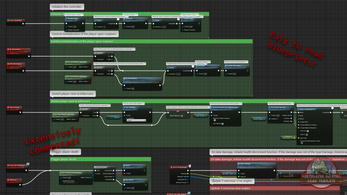 Please note that this system will work in both singleplayer and multiplayer projects. Included controller is setup for third and first person, but template can be adapted to topdown and other views with a little work. 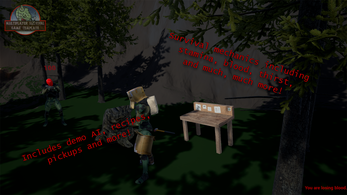 For more details, documentation, future roadmap plans and a full feature list, please visit survivalgame.site. 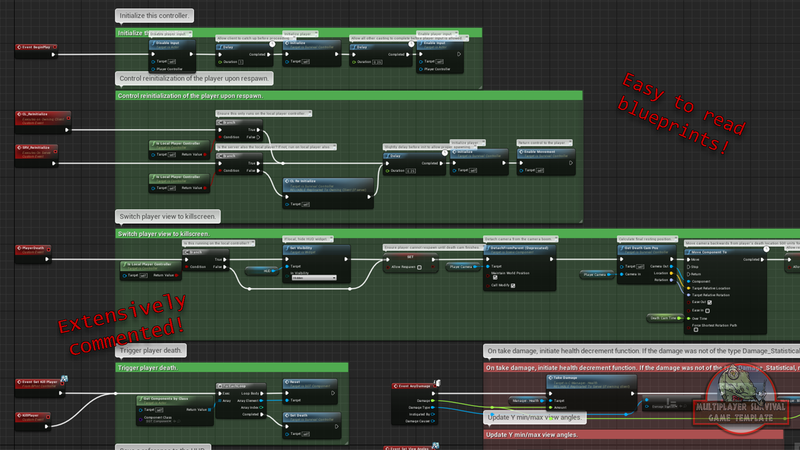 Additionally, please be aware that this template will only work in Unreal Engine 4. 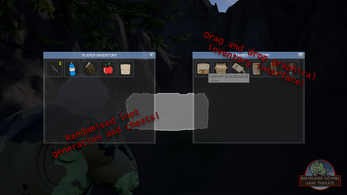 The example content included is all provided by Epic Games them self, or other authors credited in the project itself, and is strictly for use within the Unreal Engine. If you really want to use some of the content included in another engine, please contact me and I can attempt to discuss this with the other authors. Content provided by Epic Games is strictly for use within UE4 without exception. 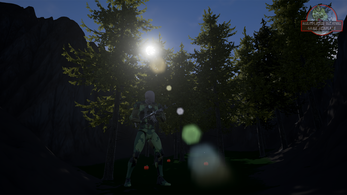 The Multiplayer Survival Game Template has already received several updates since launch, and will continue to receive new and exciting features, based on public demand, over time. For an idea of what is to come, please visit the trello roadmap. An ever growing list of tutorials regarding integrating other marketplace assets into the template is available via this YouTube playlist.